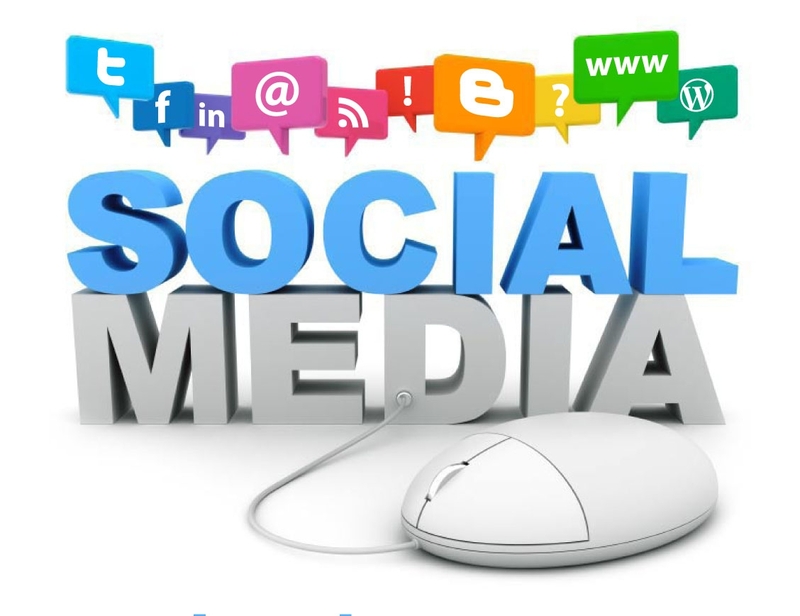 Social media is the collective of online communications channels dedicated to community-based input, interaction, content-sharing and collaboration. Websites and applications dedicated to forums, micro-blogging, social networking, social bookmarking, social curation, and wikis are among the different types of social media. According to Buettner (2016), social media are computer-mediated tools that allow people, companies and other organizations to create, share, or exchange information, career interests, ideas, and pictures/videos in virtual communities and networks. Sharing practices build the essence of science. In the process they generate two important “Rs” for scientists: recognition and reputation. This trend has been exacerbated by an increase scientific activity. In turn, it has resulted in enhanced levels of knowledge production and scholarly communication. Such increasing volumes of knowledge are now available in digital environments. This means they have the potential for enhancing the sharing practices associated with the scientific endeavour. Ultimately, this trend will also have an impact on the way research is translated into innovation, albeit at the cost of enhanced collaboration and at the detriment of competition (Dino, 2014). According to Agichtein et al; (2008), social media differ from traditional paper-based or industrial media in many ways, including quality, reach, frequency, usability, immediacy, and permanence. Social media operate in a dialogic transmission system (many sources to many receivers) Pavlik and John, (2015). This is in contrast to traditional media that operates under a monologic transmission model (one source to many receivers). SCIENTIFIC SOCIAL NETWORK SITES Incidentally, a number of so-called social network sites, designed to facilitate collaboration among scientists, have now emerged. They have facilitated the exponential development of sharing practices in academia, digitally enhancing exchange between knowledge production capacities across the globe. Indeed, platforms such as Mendeley, ResearchGate, Researcher ID and Academia.edu aggregate bibliographic information and the work of millions of researchers in terms of journal articles. Thus, sharing scientific information has become easier. In addition, these platforms stand as facilitators to identify and build research groups on a global scale (Dino, 2014). As a result, these sites also speed up the scientific process; at least as a result of digitalization and social media enabled connectedness among scholars. These scientists, for instance, get instantly notified once their peers upload a new research paper, equivalent data and food for thought. This trend has not been unnoticed among traditional science publishers (Dino, 2014). For example, Elsevier, in 2013, bought Mendeley and a group of investors with Bill Gates among them, invested 35 million US $ in ResearchGate, which is a Berlin-based start-up. SHIFT IN SCIENTIFIC PRACTICE Academic social networking sites do not only attract venture capital. They also represent an object of research for science communication scholars, like Christoph Lutz and Christian Hoffmann, from the University of St. Gallen, in Switzerland. In their recent pilot study, these academics explored the network activities of 55 colleagues from the business department of their university on ResearchGate. Other experts agree, the tools “aren’t revolutionizing science, rather they make what you already do faster, like discovering relevant literature and sharing results quicker and much more efficient, like finding collaborators,” points out Euan Adie, the London, UK-based founder of Altmetric, a startup which is using altmetric data. TYPES SOCIAL MEDIA 1. Facebook: Facebook is a popular free social networking website that allows registered users to create profiles, upload photos and video, send messages and keep in touch with friends, family and colleagues. According to statistics from the Nielsen Group, Internet users within the United States spend more time on Facebook than any other website. 2. Twitter: Twitter is a free microblogging service that allows registered members to broadcast short posts called tweets. Twitter members can broadcast tweets and follow other users’ tweets by using multiple platforms and devices. 3. Google+ (pronounced Google plus): Google+ is Google’s social networking project, designed to replicate the way people interact offline more closely than is the case in other social networking services. The project’s slogan is “Real-life sharing rethought for the web.” 4. Wikipedia: Wikipedia is a free, open content online encyclopedia created through the collaborative effort of a community of users known as Wikipedians. Anyone registered on the site can create an article for publication; registration is not required to edit articles. Wikipedia was founded in January of 2001. 5. LinkedIn: LinkedIn is a social networking site designed specifically for the business community. The goal of the site is to allow registered members to establish and document networks of people they know and trust professionally. 6. Reddit: Reddit is a social news website and forum where stories are socially curated and promoted by site members. The site is composed of hundreds of sub-communities, known as “subreddits.” Each subreddit has a specific topic such as technology, politics or music. Reddit site members, also known as, “redditors,” submit content which is then voted upon by other members. The goal is to send well-regarded stories to the top of the site’s main thread page. 7. Pinterest: Pinterest is a social curation website for sharing and categorizing images found online. Pinterest requires brief descriptions but the main focus of the site is visual. Clicking on an image will take you to the original source, so, for example, if you click on a picture of a pair of shoes, you might be taken to a site where you can purchase them. An image of blueberry pancakes might take you to the recipe; a picture of a whimsical birdhouse might take you to the instructions. MOBILE SOCIAL MEDIA AND BUSINESS POTENTIAL Although traditional social media offer a variety of opportunities for companies in a wide range of business sectors, economic-sector mobile social-media makes use of the location and time-sensitive aspects of social media in order to engage in marketing research, communication, sales promotions/discounts, and relationship development/loyalty programs (Kaplan, 2012). 1. Marketing Research: Mobile social media applications offer data about offline consumer movements at a level of detail heretofore limited to online companies. Any firm can know the exact time at which a customer entered one of its outlets, as well as comments made during the visit (Kaplan, 2012). 2. Communication: Mobile social media communication takes two forms: company-to-consumer (in which a company may establish a connection to a consumer based on its location and provide reviews about locations nearby) and user-generated content (Kaplan, 2012). 3. Sales promotions and discounts: Although customers have had to use printed coupons in the past, mobile social media allows companies to tailor promotions to specific users at specific times. 4. Relationship development and loyalty programs: In order to increase long-term relationships with customers, companies can construct loyalty programs that allow customers who check-in regularly at a location to earn discounts or perks. 5. e-Commerce: Mobile social media applications such as Amazon.com and Pinterest have started to influence an upward trend in the popularity and accessibility of e-commerce, or online purchases. FAST TRACKING INNOVATION The acceleration of research, affording by increased sharing practices, has also an impact on innovation. Besides, the strengths of “algorithms speeding up the processing information in the bench sciences,” results in bench-to-bedside translations happening more quickly. That’s according to Dietram Scheufele, communication scholar at the University of Wisconsin-Madison, USA. In turn, this leads to fairly faster and steeper innovation curves, Scheufele argues. He also believes that “scientists must explore outcomes of online interactions about science in much greater detail,” because the “brave new” online environment affects the communication of science information to the public. In addition, Scheufele stresses that “social sciences and the humanities have been almost too slow for that technological development.” Thus, we “haven’t developed the ethical, legal and social understandings surrounding technologies, like surveillance drones for instance,” he notes. This means that digitalization drives current changes in research in many ways. In particular, “key aspects of the ‘second Scientific Revolution’ are interconnected,” as Sascha Friesike and Sönke Bartling argue in their recent book. The general term second Scientific Revolution, already a new buzzword, as postulated in 2012 by The Royal Society report Science as an open enterprise, encompasses a bundle of interconnected digitally driven processes such as open data, altmetrics, social networking, open access publications and unique researcher ID. COMMERCIALIZATION OF SOCIAL MEDIA As social media usage has become increasingly widespread, social media has to a large extent come to be subjected to commercialization (Pihl, 2011). Accrdimg to Laurell (2014), a digital marketing researcher, suggested that the social media landscape currently consists of three types of places because of this development: consumer-dominated places, professionally dominated places and places undergoing commercialization. As social media becomes commercialized, this process has been shown to create novel forms of value networks stretching between consumer and producer in which a combination of personal, private and commercial contents is created (Pihl, 2011). The commercial development of social media has been criticized as the actions of consumers in these settings has become increasingly value-creating, for example when consumers on a voluntary basis contributes to the marketing and branding of specific products by posting positive reviews. As such value-creating activities also increase the value of a specific product, this could according to the marketing professors Bernad Cova and Daniele Dalli lead to what they refer to as double exploitation (Cova and Dalli, 2009). CONCLUSION Social media is the collective of online communications channels dedicated to community-based input, interaction, content-sharing and collaboration. Websites and applications dedicated to forums, micro-blogging, social networking, social bookmarking, social curation, and wikis are among the different types of social media. As a result these, many sites have speed up the scientific process while digitalization and social media enabled connectedness among scholars. These scientists, for instance, get instantly notified once their peers upload a new research paper, equivalent data and food for thought.